The Burrow's Studio Blog: THE HPOSTERS, Free printable downloads! THE HPOSTERS, Free printable downloads! Sorry, the HPosters are no longer available for free download. Please contact Lucy Knisley at Hposters @ Lucyknisley.com if you would like copies. These are parody comics, that have no legal affiliation with Warner Bros or JK Rowling. and for providing these posters. Donations are tax deductible! Donations support the artist in making work and eating food! Donations are very nice, and so are you. Lucy and Nora share an art studio space in Chicago, where they make good things and watch bad TV. Is a fiber artist and history enthusiast. Is a comic artist and author. 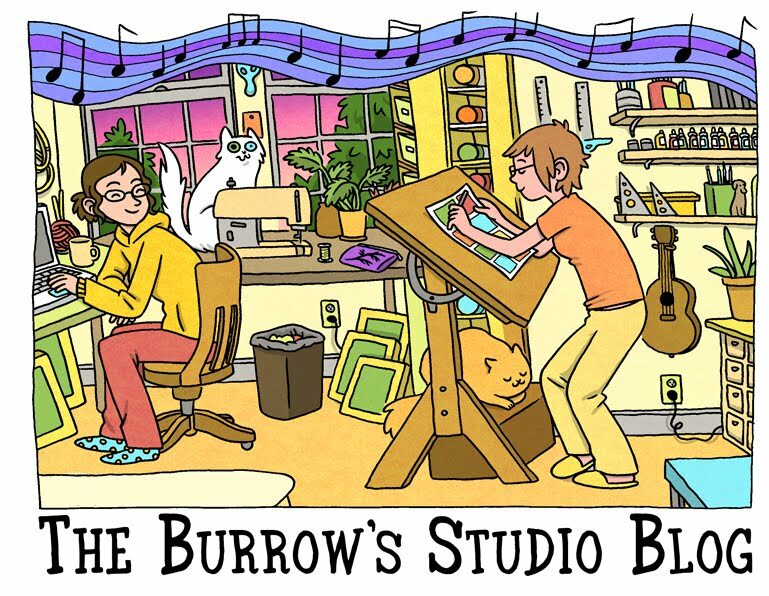 The Burrow Takes NYC: Burrow Reunion Tour! C. Lucy Knisley and Nora Renick-Rinehart. Simple theme. Powered by Blogger.